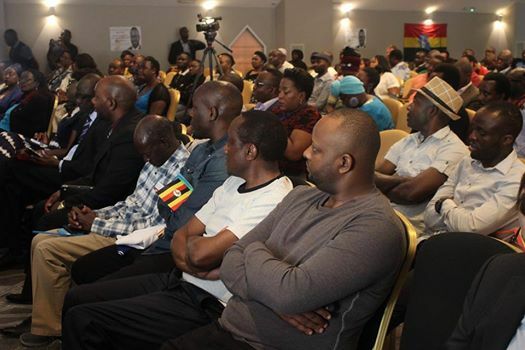 Opposition leader Kizza Besigye alongside with his wife Winnie Byanyima over the weekend addressed Ugandans in the United Kingdom at London’s Hilton Hotel about the prevailing political situation in the country. 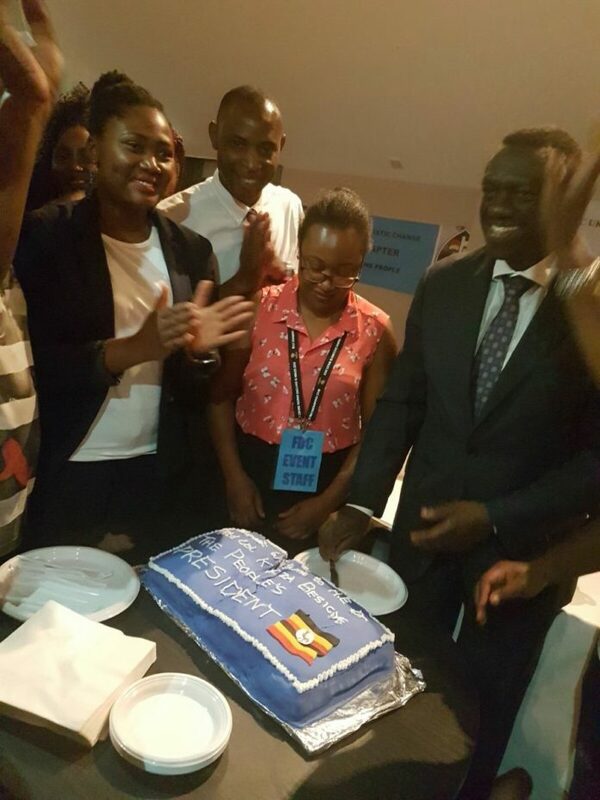 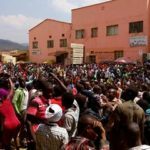 Besigye who is currently facing treason charges, for declaring himself “president” in a mock ceremony- told the London gathering of more than 300 people attendees he won the last election. 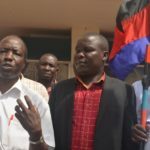 He called for a “non-partisan, non-violent struggle; a people led movement”, aimed at “reclaiming the power of Uganda’s institutions”. 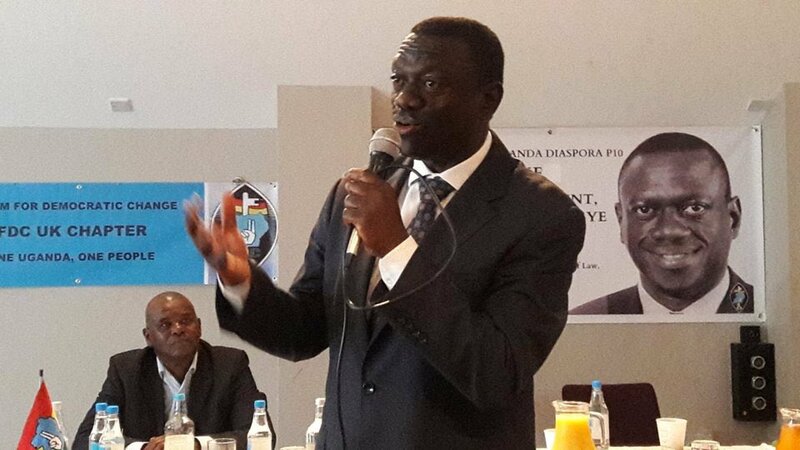 Prior to his speech, Dr Besigye also separately met with the FDC UK Chapter members and Power 10 (P10) members led by FDC coordinator Thomas Ddumba. 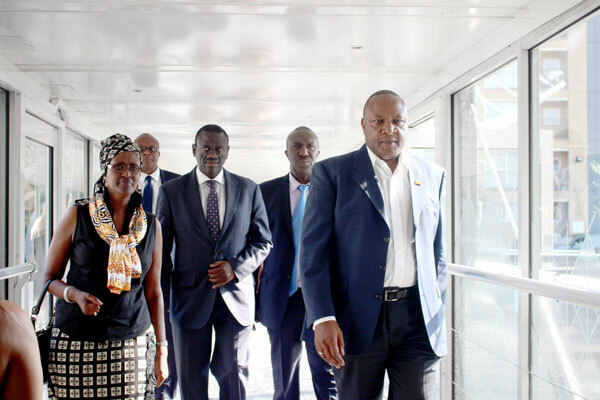 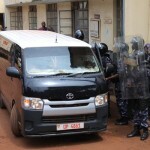 Besigye is this week expected to travel to the US to meet with the community there.